Christmas cookies are such an important part of my holiday. My grandmother used to bake dozens upon dozens of cookies in every variety that you can image. From traditional chocolate chip and sugar cookies to Italian specialties like pizelles and ricotta cheese cookies, we had a veritable smorgasbord of delicious holiday treats to choose from on Christmas morning. I’m not much of a cook, but I can bake basic holiday cookies! They’re not as gorgeous as these featured treats from some of my favorite bloggers, though. 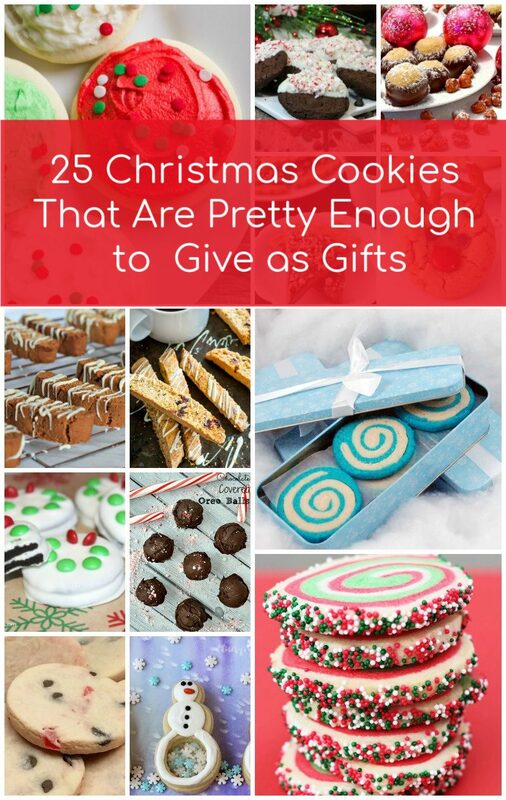 If you want cookies that are good enough to give as gifts, these are the perfect place to start! Of course, you can also just keep them for yourself! I wouldn’t judge! Cookies are listed in order of appearance, starting with the top left corner. 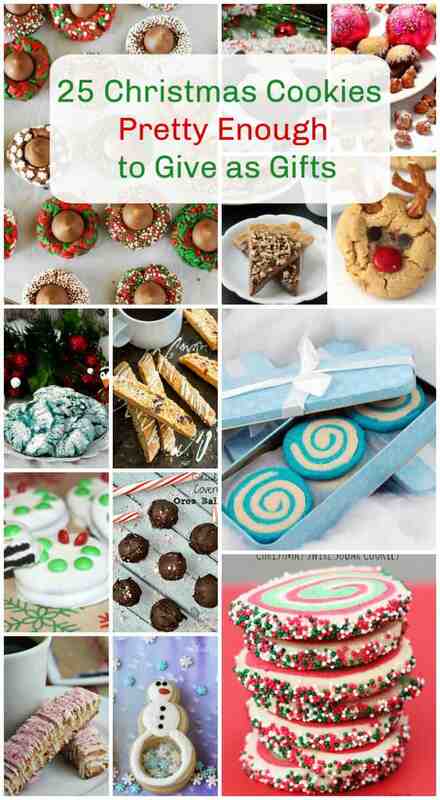 Whether you’re a skilled baker or a novice like me, you’ll find the perfect Christmas cookies to make to give as gifts on this list! I would definitely need to make them closer to the holidays and get them out of my house asap, otherwise I think I’d end up eating them. They all look so yummy! 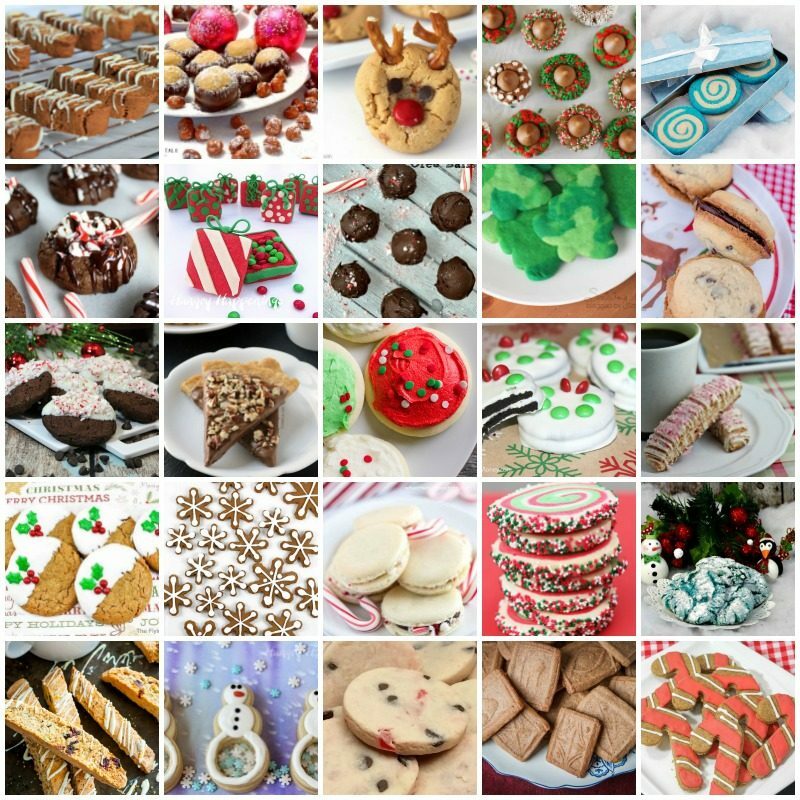 Do you have any favorite Christmas cookies recipes that you like to give as gifts? Tell me all about them! These are all great gift ideas! Thanks for all the recipes! awesome ! i am already share your website with my lovely wife! hope my next morning are so tasty! These look great . I love baking over the holidays . Thanks for posting . Definitely have to try the candy cane dog treats . I would love to make these but have a VERY strong feeling mine wouldn’t come out looking anywhere as close to as good as these do! I will have to save this posting for next Christmas season. Looks amazing.